The Candidate’s Statements included below were provided by the candidates themselves, appear exactly as they submitted them, and have not been edited in any manner. If no statement appears, no statement was submitted by the deadline for publication. Candidate’s Statement: I’m a small town doctor that delivered over 3000 babies prior to running for Congress. I have lived in the 26th district for 65 years. I raised a family here and I ran a successful medical practice here for 25 years. I have seen the effects of policy, both good and bad, on my friends and neighbors and carry that experience with me to Congress. I still believe in that quaint notion that we have a government with the consent of the governed. That is only possible by controlling the size of the federal government. My top priorities are protecting our national security, battling Obamacare, reigning in our national debt and replacing our current tax system with a fair flat tax. Our country faces challenges and adversities which demands decisive leadership. As in the past, I believe we will rise to the occasion and emerge as an even stronger nation. 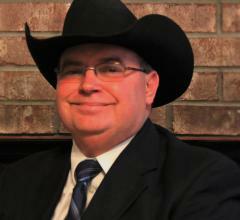 Candidate’s Statement: I am a farm boy from Iowa with a degree in Engineering from Iowa State University. I have worked for 2 corporations, Westinghouse and Honeywell and I have owned and managed my own business in the Lewisville area for 30 years. Experience; managed 35+ employees and 25+ in China, visionary in several disciplines, traveled to all 50 states and 6 continents, candidate for US Congress, republican district delegate and alternate delegate for state convention in 2014. Why am I running? I am concerned with the safety of US Citizens. I am concerned with our 18 Trillion dollar debt. I am concerned with the lack of influence of “We the People” in Washington. I am concerned with the disregard of our United States Constitution. I am concerned with the lack of leadership in Washington. I have the experience, personality and courage to get things done. Thanks for Voting Krause for House. Candidate’s Statement: As a pro-life physician, constitutional attorney, custom homebuilder, and investigations and security business owner, I’m running to stop the unprecedented economic and moral decline in our country. I have a 20-year background in the Republican party as a precinct chair, area leader, committee chair of the senatorial rules committee, and member of the state party rules committee. As a physician and attorney, I have the knowledge and experience in the medical field to take action on healthcare issues (Obamacare). As an attorney, I have the knowledge and legal expertise on economic issues facing the next session. As a contractor and small business owner, I realize that the economy needs a kick-start and a jobs program. I know when to create jobs and how to build business. I will fix the broken immigration system, limit government, and return government that is of the people, by the people, and for the people. 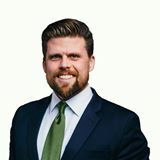 Candidate’s Statement: Spanning both Dallas/Tarrant counties is CD33, the “barbell district.” 65% percent Hispanic, 15% Black, and typically voting Democrat, the district has special needs. Only 58% earn high school diplomas. It has a $35,000 median household income for a family of four, down $1,000 from two years ago. Despite Obamacare, 40% still have no health insurance. Unemployment is 8.8% compared to only 4.1% in DFW. 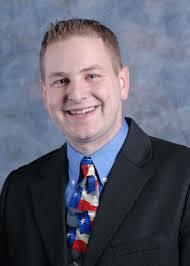 Democratic incumbent Marc Veasy does little to help. As a small business owner in the district since 1982, Bruce Chadwick understands the need to create jobs, fix immigration, and protect family values. Bruce is a keynote speaker, entertainer, illusionist, writer, and special effects design consultant. 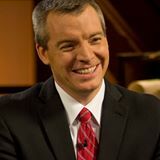 He is also a bi-vocational minister with BA and MA degrees from Baylor University, and a Master of Divinity degree from the Southwestern Baptist Theological Seminary. Please pray for the Chadwick for Congress campaign and help reach the minorities in Texas. 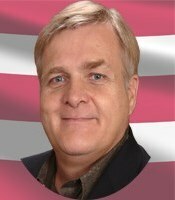 Candidate’s Statement: John Greytok is endorsed by former Land Commissioner Jerry Patterson. Commissioner Patterson chose John because of his qualifications, his commitment to conservative principles, and because he believes John will do the best job serving the interests of all Texans in this important position. 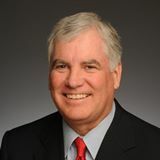 John Greytok will focus on preserving Texas energy jobs by 1) pushing for a temporary severance tax abatement (as we had in the 1990s), 2) implementing a moratorium on all new regulations, and 3) shutting down the RRC’s corporate welfare program that favors one energy company over another. John Greytok got into this race because he was upset over the Obama EPA’s irrational war on fossil fuels. 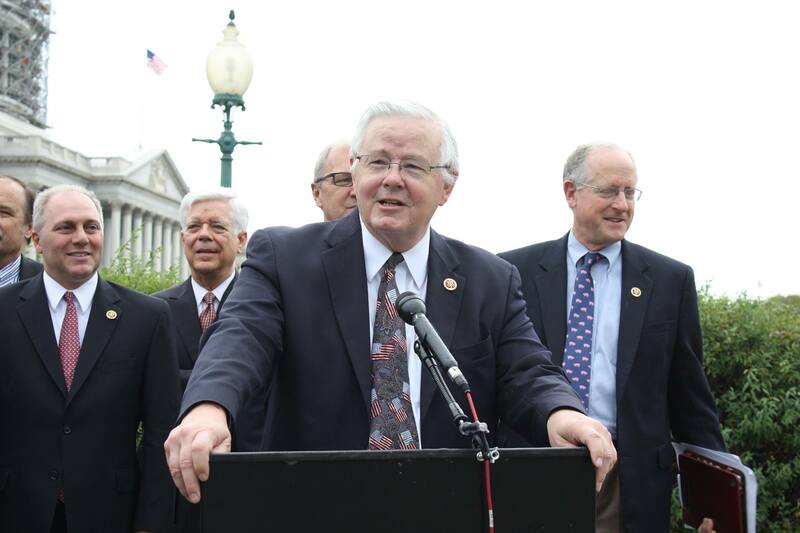 The Railroad Commission can be a critical tool in the fight against federal overreach. We have the right under the 10th Amendment to make our own decisions (if we have the will and determination to force compliance with the Constitution). Candidate’s Statement: I served 13 years in the Air Force, and now I’d like to continue serving as your next Railroad Commissioner. Obama’s EPA is doing everything in its power to destroy the oil and gas industry in Texas. Despite his efforts, Texas has remained a world energy leader, and made the US energy independent for the next 2 generations. This campaign comes down to who you think can do the best job. I am the only person in the race that saved taxpayers 100’s of millions, and been in emergency situations where lives were at stake. The Railroad Commission requires leadership because we are in a state of emergency in the oil and gas industry. We have to do everything in our power to push back against the feds. I’ll fight for you just like I did in the skies of Iraq and Afghanistan. I look forward to your support. 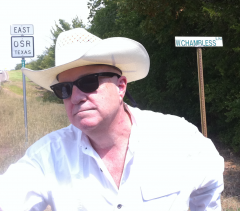 Candidate’s Statement: Wayne Christian is a businessman and former state legislator from East Texas. 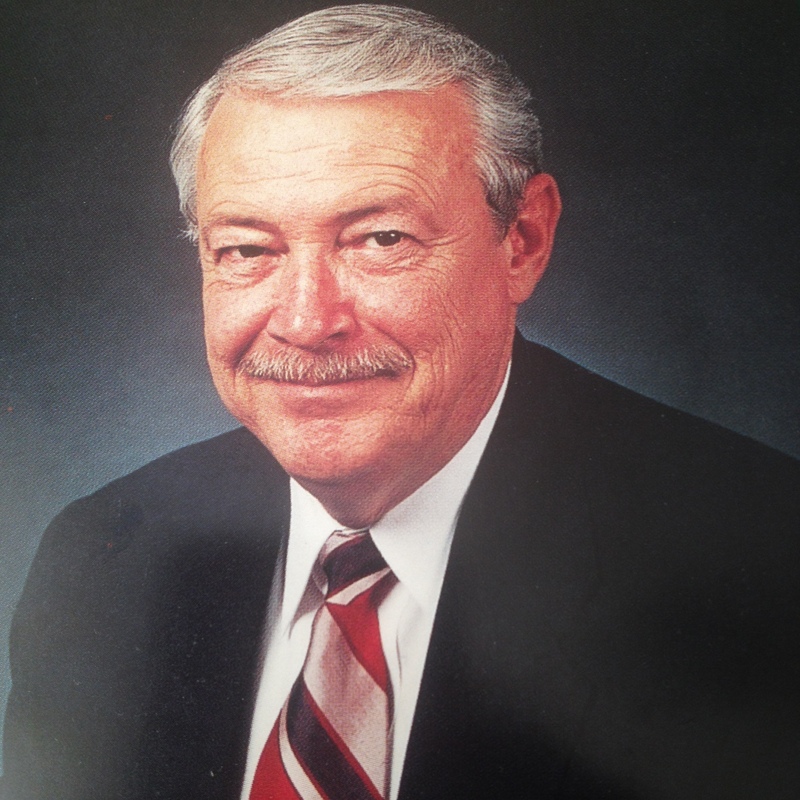 In the House, he served as Vice-Chair of Regulated Industries and as a member of the Energy Resource Committee. He is the only candidate in this race with experience crafting the rules and regulations that Texas business and industry must work under. 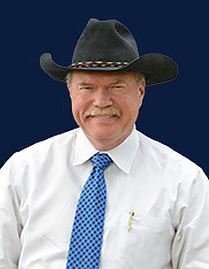 During his time in the Texas Legislature, he was rated as one of the most conservative legislators in our state and served as President of the Texas Conservative Coalition. 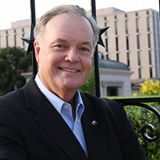 For his conservative voting record, he received the following awards: Taxpayer Champion (Texans for Fiscal Responsibility), National Hero of Faith (Vision America), Defender of Life (Texas Right to Life), Fighter for Free Enterprise (Texas Association of Business), Lifetime Achievement Award (Young Conservatives of Texas), Defender of the American Dream (Americans for Prosperity), and Freedom and Family Award (Texas Eagle Forum). Candidate’s Statement: It has been my sincere privilege to serve on the Texas Supreme Court since being appointed by Governor Perry in 2010. I have a proven record of exemplary service. With a total of 28 years judicial experience, including over 20 years as a trial judge in Fort Worth, I have served on this Court for 6 years and have written on a vast number of complex legal matters including oil and gas, contract interpretation, commercial, corporate and securities, tax, torts, family and probate, civil procedure and evidence. As a scholarly jurist who has studied under Justice Antonin Scalia, I am a textualist who believes strongly in judicial restraint and who never legislates from the bench. My opponent has no history of service on the Supreme Court. I take my oath to strictly and conscientiously apply the law in a methodical and scholarly manner very seriously. 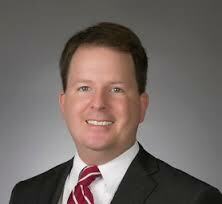 Candidate’s Statement: Justice Michael Massengale is a Christian and a lifelong conservative. He’s an Eagle Scout and a graduate of Southwest High School. A former partner of Baker Botts, he handled a wide range of civil litigation at the pinnacle of his profession, and he’s the only candidate who’s board certified in civil appellate law. As a justice on the First Court of Appeals for the last 6 1/2 years, he has a proven record of impartially applying the law and never legislating from the bench. Massengale has been endorsed by Texas Right to Life, Texans for Fiscal Responsibility, Texans for Lawsuit Reform, and the Texas Medical Association’s TEXPAC. He’s been endorsed by Cathie Adams, Kelly Shackelford, Julie McCarty, DFW Conservative Voters, Tarrant 9/12 Action PAC, and Tarrant Republican Club. 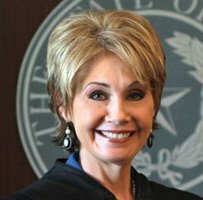 After appointing the incumbent in 2010, Governor Rick Perry has endorsed Justice Massengale for election to Texas Supreme Court, Place 3. 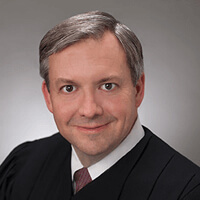 Candidate’s Statement: Justice Paul Green was elected to the Supreme Court of Texas in 2004 after serving 10 years as a Justice on the Fourth Court of Appeals. Before that, he practiced law for 17 years and was president of the San Antonio Bar Association. 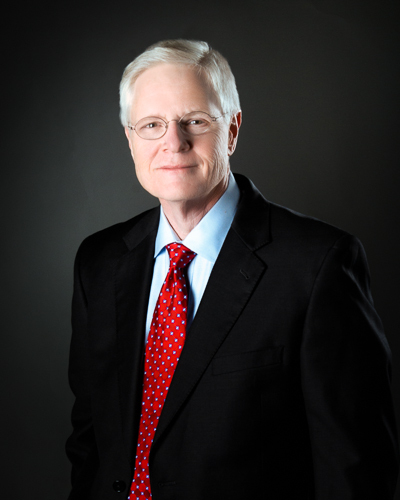 Paul Green is a proven conservative who adheres to the Constitution and Texans values. 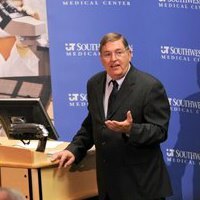 His experience and expertise has earned him a well-respected reputation, earning endorsements from Texans for Lawsuit Reform, the Texas Medical Association, and the Texas Patriots PAC. Candidate’s Statement: Pick Rick for Supreme Court if you want the Constitution guy endorsed by Dr. James Dobson, Chuck Norris, Kirk Cameron, David Barton, Kelly Shackelford, Cathie Adams, Judge Paul Pressler, & conservative leaders across the state. I was drafted to run because our religious liberties and other constitutional rights are being challenged in the state courts like never before. All the candidates have the necessary legal experience, but these legal champions and other leaders are all saying Rick Green is the only one with the business and constitutional experience we desperately need on the court at this time in our history. If you’re tired of judges acting like legislators, if you want to restore separation of powers, then you need a Constitutional Watchdog on the court. There are 2 Green’s in this race, so if you want to restore our constitutional republic, then make sure you Pick Rick! Candidate’s Statement: I bring outstanding credentials and strong conservative values to the Supreme Court of Texas. Endorsed by Governor Greg Abbott and Lieutenant Governor Dan Patrick, I am a conservative judge with a 17-year track record that proves it. Having served on the trial bench, the court of appeals, and the Texas Supreme Court, I have the judicial experience it takes to do the job well. I have ruled on thousands of cases, authored hundreds of published opinions, and consistently received high marks in judicial evaluation polls. More than a dozen organizations have honored me with awards for leadership and service. Most of all, I understand a judge’s role in our constitutional design. Judges should not legislate from the bench. Policy decisions belong to you – the People – not to judges. Texans who know my record know they can count on me to uphold our Constitution – for that is a judge’s highest duty. http://www.evaguzman.com. Candidate’s Statement: Our Texas judiciary and constitutions have been under attack by Establishment RINO’s ER’s for the past 10 years. They talk about conservatism out of one side of their mouths while they pour money into judicial campaigns out the other side trying to achieve lawsuit reform though judicial activism. Unfortunately these ER’s $ have been successful in having the Supreme Court overturn 74% of the jury verdicts it has reviewed, have increased summary judgments by fourfold and have diminished everyone’s access to attorney representation by denied constitutional rights – Texas Art1 Secs.13 & 15 No Excessive Fines & Inviolate Right To Civil Jury Trial. What the greedy ER’s do not understand is the interdependence between freedom, property rights, jury trials, creativity, new inventions, new businesses and more job creation. After 11 years of ER’s Judicial Lawsuit Reform we had 295,000 less jobs with 5 Million more Texans. Candidate’s Statement: Mary Lou Keel has served as a felony trial court judge in Harris County since 1995, presiding over hundreds of felony jury trials, including five death penalty cases. She also served Harris County as a prosecutor and handled 279 criminal cases on appeal, including five death penalty cases. 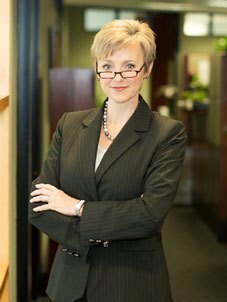 She has been Board Certified in Criminal Law by the Texas Board of Legal Specialization since 1990. Keel’s first job after law school was as a briefing attorney for the First Court of Appeals. 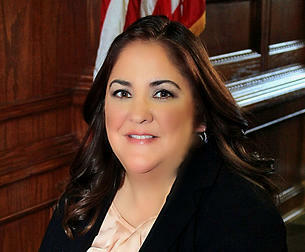 She has served as the wiretap judge for the Second Administrative Judicial Region of Texas since 2009. 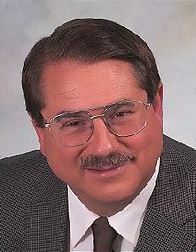 Keel is proficient in Spanish and is a volunteer interpreter for Cuban dissidents on the website translatingcuba.com. Keel met her husband, Jim Hippard, Jr., in law school at the University of Houston, and they have been married for 27 years. They have three children, all now young adults. Candidate’s Statement: I have presided over approximately 23,000 criminal cases, including over 500 jury trials, and I have never been reversed on a case tried to a jury. My twenty one year legal career as AV rated attorney, six years service as a District Judge and nine years service as a County Court at Law Judge is unmatched. I graduated from the University of Texas School of Law and am licensed to practice in two states. I am the only candidate with criminal private practice, prosecutor and judicial experience. I am Board Certified in two areas and I am the only candidate with both criminal and civil jury trial experience in both Federal and State courts. I am endorsed by Texas Right to Life, Texans for Fiscal Responsibility, the Texas Home School Coalition, Texas Eagle Forum, Tarrant Republican Club, DFW Conservative Voters, Collin County Conservative Republicans and Grassroots America We The People. Candidate’s Statement: I will bring to the Court of Criminal Appeals a fearless integrity and an entire professional career committed to the improvement of the criminal justice system, as a prosecutor, judge and teacher. I am board certified in criminal law and the only candidate that has extensive involvement statewide in improving the administration of the criminal justice system. From addressing disproportionality, to training experienced judges, to addressing legislative issues, to training the bar, no other candidate in this race can come close to my accomplishments. In the 16 years I have spent on the trial bench, I am consistently the top rated judge in Collin County, rated far better than either of my opponents. There are many challenges facing this court. We must have a judge with the background to do the job and the backbone to stand-up for what is right. I am that judge. Candidate’s Statement: Scott Walker graduated with honors from Dallas Baptist University. He received his Juris Doctorate from Baylor School of Law. 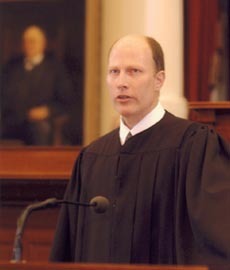 Scott is a member of the State Bar of Texas and the Texas Bar College, an honorary society of lawyers who are among the best trained in Texas. Scott’s law practice has primarily consisted of veteran’s disability, criminal litigation, and appellate advocacy. 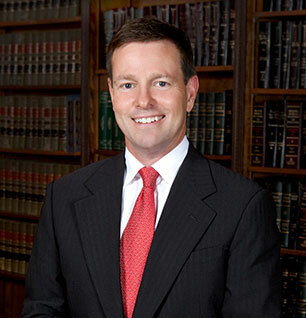 Scott has written over one hundred appellate briefs and tried over forty trials in Texas courts across North Texas. His experience makes him a perfect candidate for Judge of the Texas Court of Criminal Appeals. Scott Walker is a lifelong Texan. Scott Walker and his wife both descend from a long line of conservatives, and both have been conservative Republicans all of their adult lives. They have been married for 42 years. Scott and his wife are evangelical Christians and are active members in their Dallas area church. Candidate’s Statement: After the 2014 elections, conservatives lost control of the Texas Court of Criminal Appeals. Therefore, it is important that Republican primary voters elect a conservative in the race for CCA Place 5. As reflected on my campaign website, I am the only proven conservative in the race. 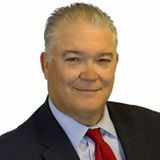 I am a recognized expert on the Texas Constitution, have significant legislative experience that the other candidates lack, and am the only candidate in the race with prior high court experience. 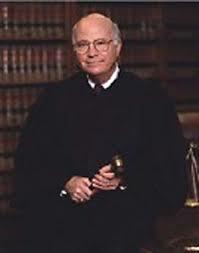 I served as a Texas Supreme Court justice and authored numerous opinions. My conservative judicial philosophy is an important qualification. Candidate’s Statement: Michael E. Keasler has been a judge on the Court of Criminal Appeals for seventeen years. He received his undergraduate and law degrees from UT Austin. He served as Dallas senior felony chief prosecutor, tried 432 jury trials, was appointed district judge, and was reelected four times. He is a lifelong Republican. 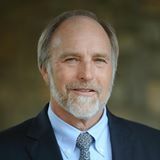 He has served as Chair of the State Bar Judicial Section, the ABA Trial Judges’ Ethics Committee, the Dallas District Judges, and the Dallas County Juvenile Board. 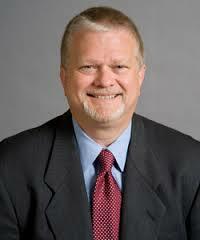 He also was Dean of Texas Continuing Judicial Education and is a National Judicial College faculty member. He teaches ethics and constitutional criminal law to judges nationally. He believes strongly in judicial restraint and employs logic, common sense, and plain language in his judicial opinions. 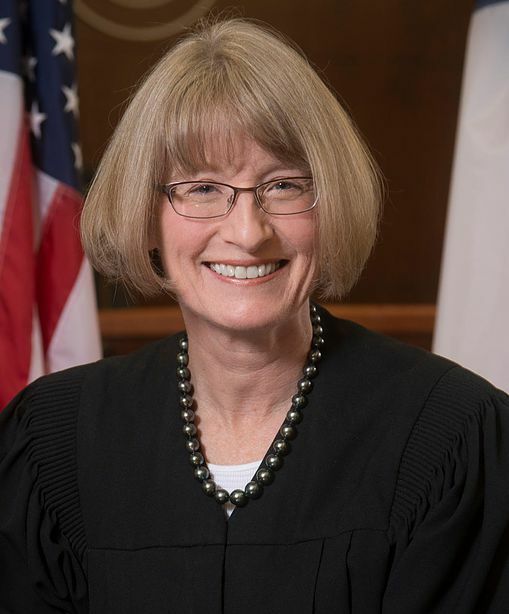 Judge Keasler has been married to the former Nancy Lawson for forty-six years. They live in Austin with their daughter, son-in-law, and three grandchildren. Candidate’s Statement: I graduated in 1982 from Baylor Law School. I am a former prosecutor for Sherman and Ector Counties in 1983, 1984 and 1985. 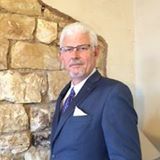 I have actively practiced law in the courts of this state for 33 years, Texas Hill Country and the Austin/Georgetown metropolitan area since 1987 and have appeared in court in over 60 Texas counties. I am rated as a strong Republican voter, having cast my first presidential vote for Gerald Ford in 1976. I am a strong supporter of the 2nd Amendment and every citizen’s right to self protection. I am dedicated to the fair application of the law and individual responsibility. The law should hold the criminal responsible and protect a free people. I am dedicated to following the constitution, neither eroding nor changing it, and believe strongly that a jury of citizens is essential to the freedom as well as the security of all Texans. Candidate’s Statement: Bill Zedler (Arlington) is a 38 year resident of District 96, where he and his wife Ellen, raised their three children. They currently have 8 grandchildren. Bill Zedler has been given awards or high marks for his strong conservative voting record during the last legislative session from the following conservative organizations: Texans for Fiscal Responsibility, Texas Right to Life, Young Conservatives of Texas, DFW Conservative Voters, Texas Values Action, Eagle Forum, Heritage Alliance, Texas Home School Coalition, and Americans for Prosperity – Texas. While serving in the House, he has also received the following awards: “Champion for Free Enterprise”, “Texas Taxpayer Hero”, ” Defender of the American Dream,” Perfectly Pro-Life Legislator,” and “Legislator of the Year” from Texas Chiropractic Association. 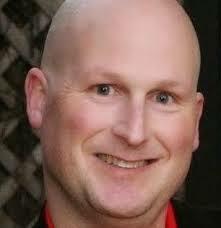 Finally he received the Chairman’s Award for Courage from the Texas Republican Party. 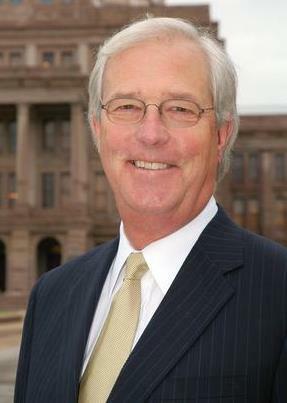 This year he was ranked 10th most conservative legislator in the Texas House. Candidate’s Statement: As our Republican State Representative, Charlie always fights for our values. Last session, Charlie brokered a $4 billion tax cut and passed a balanced budget. When Washington failed to secure our border, Charlie led the fight in the Texas House to protect our families from the threat of drug gangs, illegal immigration and terrorism. He passed the largest border security legislation in Texas History – placing 250 new troopers, new monitoring aircraft, and high-tech surveillance to secure the border. Committed to education, Charlie cut overbearing STAAR tests and enhanced local control of our schools to ensure our kids receive a top-quality education. For his strong, consistent pro-growth voting record, the Texas Association of Business named Charlie a “Champion of Free Enterprise.” A former U.S. Marshal, Charlie is ‘A’ rated and endorsed by the NRA and is 100% pro-life. With Charlie, we’ll always have a strong conservative voice in Austin. Candidate’s Statement: I have never held public office, but like most people, I am fed up with the direction of our nation. I am a Christian, husband and father to 4 young children. I am a successful small businessman who understands the burden of government regulation. I believe we need elected officials on our side who will fight for our Constitutional principles and religious values. After all, those are what made this country great. I think the most critical problem facing HD-99 is having a representative who gets failing grades by conservative groups across Texas, because he is in bed with the special interests and lobbyists and votes with democrats more than republicans. My solution is to replace him with someone who will champion conservative reforms that will lower taxes and spending, dramatically reduce illegal immigration and make our schools the envy of the nation. Candidate’s Statement: A court of appeals decides whether the courts that conduct trials made a proper decision. It is often the last opportunity to correct an injustice that happened at trial. I am uniquely qualified to serve as a justice because of my: 1) 30 years of experience handling complex appeals and the fact that that I am only person in this race board certified in Civil Appellate Law by the Texas Board of Legal Specialization; 2) service to the legal community; 3) study of what it means to have a conservative judicial philosophy; and 4) hard work for Republican causes and candidates. I am proud how many agree that I am the best candidate, with endorsements from Stuart and Kathy Lane’s Green Card and the Texas Republican Assembly, among many others, and my victories in the TCGOP Candidate Fair Straw Poll and the Tarrant County Bar Association Judicial Candidates Qualification Poll. 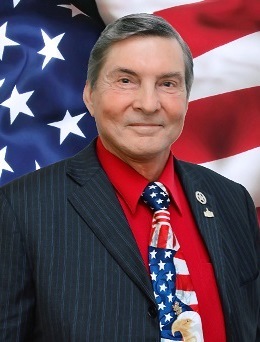 Candidate’s Statement: What distinguishes me from the other candidates is that I have decades of lead attorney experience successfully resolving hundreds of cases at all levels of the legal system over a wide breadth of law, including eminent domain, construction, contract, property rights, personal injury, and business disputes. The problem-solving and analytical skills developed as a result make me the candidate focused on substance, as opposed to procedure or form. 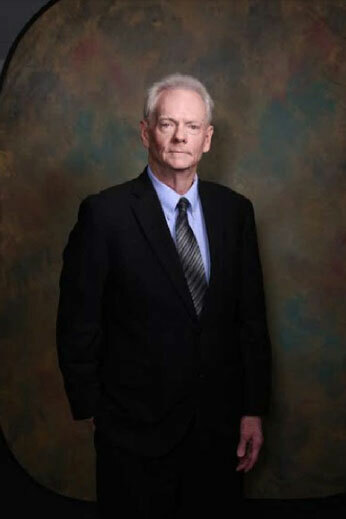 Repeatedly named one of Texas’ Top Attorneys, I am also long recognized as AV Preeminent. 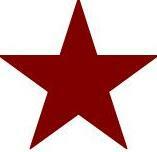 I am a Baylor Law School graduate and a former Adjunct Professor at Texas A & M University School of Law. As an unwavering Republican, I believe in Integrity, Impartiality, and Fairness in the courts. I am a well-grounded, diverse practitioner, not a career politician. I have a genuine enthusiasm and love of the law which I hope to use in service of you on the Court. 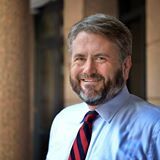 Candidate’s Statement: A good appellate judge must understand three things: how a courtroom works; how to analyze the law; and how to write clearly. After graduating from Rice and then UT law school, my career handling complex litigation matters has spanned over 30 years in Fort Worth; I get what happens at trial—and on appeal, too. I also have the mental nimbleness needed to understand and to solve legal dilemmas: my work has covered such topics as fiduciary duties, real estate, oil and gas, and, most recently, even contract and equitable issues involving Kentucky mineral law. Finally, I’m a “plain English” writer. I’ve briefed at the U.S. Supreme Court level, taught writing in the law-school setting, helped edit Black’s Law Dictionary, and am quoted in The Winning Brief treatise. And as a Fort Worth Republican Women vice-president and head of its “Second Saturday” program, I enthusiastically embrace the conservative cause. Candidate’s Statement: Education: BBA, Texas A&M 1982; St. Mary’s University Law School, 1985; U.S. Army Armor School, Ft. Knox, Kentucky 1982; U.S. Army Judge Advocate General’s School 1990. Honorably Discharged, U.S. Army, U.S. Army Reserve, and Texas National Guard. Qualifications: Board Certified Criminal Appellate Law and Criminal Law; Former Briefing Attorney, Court of Criminal Appeals; Former Assistant District Attorney, Tarrant County. I have filed 468 appellate matters in the Texas Appellate courts in the last 25 years. (This is almost double the other candidates combined.) I have tried over 250 jury trials and 6 death penalty cases to conclusion. Former Republican Precinct Chair and Election Judge. Endorsements include: J.D. Johnson, Tarrant County Commissioner, Precinct 4; Tracie Pippen, Jack County District Clerk. Candidate’s Statement: I’ve worked on over 500 appeals during my career, giving me an unmatched depth of experience among the candidates. While criminal cases comprise the majority of the court’s docket, most of the court’s current justices came to the court with backgrounds in civil law. As the only prosecutor in this race, I would bring a much-needed perspective to the court. My prior service as a senior staff attorney at a court of appeals included working on a variety of civil cases. Therefore, among the candidates, I am the only one with recent, relevant experience in civil, criminal, family and juvenile law. I have written and lectured on constitutional and criminal law. Trial prosecutors across Texas frequently consult with me about a variety of issues. As a justice, I would work to improve the court’s efficiency and transparency. Among the candidates, I alone can do the job from day one. Candidate’s Statement: I am a lifelong Republican who was appointed Judge in 2010 by Governor Perry (with recommendation from State Senator Jane Nelson). I recently won the 2016 Tarrant Republican Party Straw Poll and was rated “Most Qualified” judicial candidate in Tarrant County by the Tarrant County Bar. My endorsements include fellow Naval Academy graduate Roger Staubach, Betsy Price, and many local Republican leaders. My judicial philosophy is that the strength of America is in our Constitution. With this said, judges should apply the law, not make it. After graduating from the Naval Academy, I served on a Navy warship in Vietnam, graduated from Baylor Law School, served as a federal prosecutor during the Reagan administration, and then entered a private practice of law in Fort Worth. Jena and I have been married 30 years. We have 4 children and 6 grandchildren. We attend Hillside Community Church. Visit: www.judgewallace.com. Candidate’s Statement: I have served as a Republican Precinct Chair of 3361, in various clubs and committees of the TCGOP, as election judge and delegate to the SD12 and state conventions. I received my law degree from Texas A & M University School of Law (formerly Texas Wesleyan University School of Law) and a Bachelor of Business Administration in Finance from Texas Tech University. I’ve built a successful law practice and title company. As a practicing attorney for more than 15 years in areas of law that impact business, property and family, I understand that a judge has power over life and death decisions, power over liberty and personal freedoms, power over government restraint, our property, our finances, and our health. As a single mother of three grown children, a United States Marine son and two daughters, I understand the challenges in raising children in today’s culture. I would appreciate your vote. 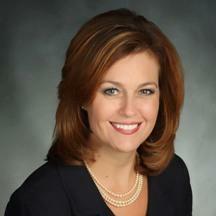 Candidate’s Statement: Lisa has earned dozens of awards during her 25-year career handling hundreds of cases. 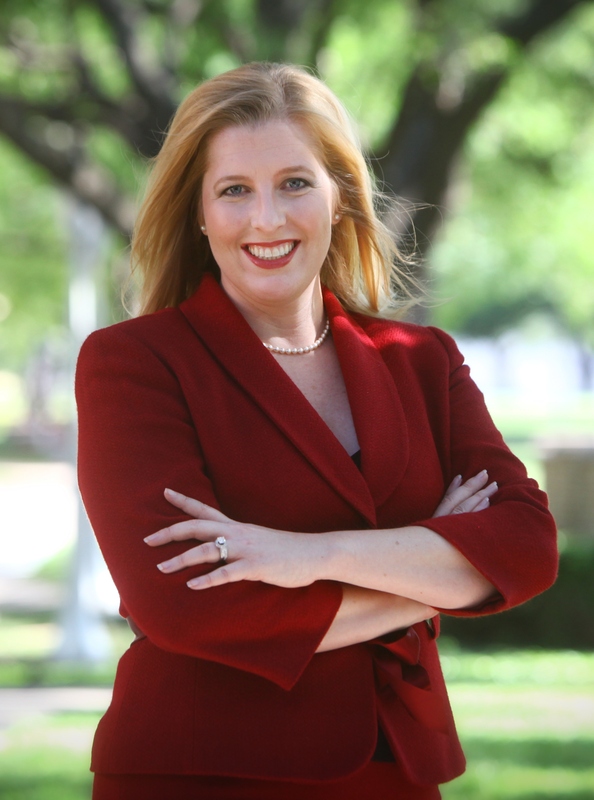 Other attorneys rate her at the “highest level of professional excellence” and have voted her a “Top Attorney.” Because of Lisa’s extensive trial and legal knowledge, she was chosen to help prepare the official jury questions used by judges across Texas, and to teach trial skills to lawyers around the country. Since joining her first Republican club 35 years ago, Lisa has been a member of many others, block walked, fundraised, been a precinct chair and a member of the Tarrant County Republican Party Executive Committee. Lisa is passionate about her conservative judicial philosophy and committed to protecting individual rights, including especially the Seventh Amendment right of trial by jury. As judge, Lisa will devote herself to defending our constitutional rights, ensuring the letter-of-the-law is followed with fidelity, and will never legislate from the bench. Candidate’s Statement: Texans deserve conservative judges who strictly interpret the law, apply it fairly and equally to all parties before them, and never legislate from the bench. My experience in complex litigation, focus on ethics and hard work, and record promoting Texas values make me the most qualified candidate for Judge of the 348th District Court. I’ve been a VP of FWRW for almost ten years, a Precinct Chair, block walker, phone banker, Election Judge, and worked on numerous campaigns. And, I was voted the winner of the 2016 TCGOP Straw Poll. I have a diverse background litigating cases in areas of aviation, construction and oil and gas; areas common in the 348th. As a result of my work, I’ve been honored as a Fellow of the Texas Bar Foundation, and recognized as a “Top Attorney”, “Rising Star”, and “Attorney of the Year.” I ask for your vote in the Republican Primary. Candidate’s Statement: For 25 years I have proudly served as a judge in Tarrant County…5+ years as the District Judge of the 360th District Court; 20 years as an Associate Judge. 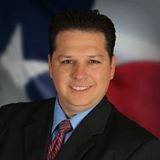 In 2010, I was elected by the Republican precinct chairs, appointed by Governor Perry, then elected and re-elected in 2012. I am a conservative, fiscally responsible Republican. I have been married to Siri, a teacher, for 34 years and we have three grown children. I pay my taxes and have never filed for bankruptcy. I rule as governed by law as well as with compassion and integrity, recognizing the crises of the families who come before me. I empower families to resolve problems with resources and education before litigation. When re-elected, I will continue the conservative, equitable tradition of the 360th District Court, honoring the legacy of Justice Debra Lehrmann, my friend and predecessor. 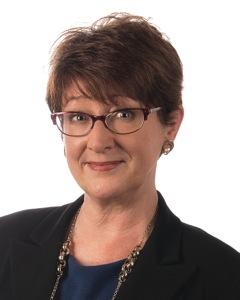 Candidate’s Statement: Patricia Baca Bennett is a Board Certified Family Law attorney who has been practicing law in Tarrant County for 21 years. She has a B.A. from the UTA and a J.D. from Texas Tech University School of Law. While attending law school she was a writer and an editorial board member of the Texas Bank Lawyer. Patricia has been married for 20 years and has two sons, ages 9 and 11. She is the mother of a special needs child and knows firsthand the struggle parents of special needs children experience. Patricia has been a Republican Party Precinct Chair, an election judge and has helped on conservative campaigns. She has testified before the legislature on matters concerning life and the Texas Family Code. Patricia is endorsed by DFW Conservative Voters PAC, Tarrant Republican Club PAC, Tarrant 912 PAC and other conservatives throughout Tarrant County. Candidate’s Statement: Throughout my 35-year carrier in law enforcement, it has been the relationships that I built in the community and with other agencies that have been the centerpiece of my success. 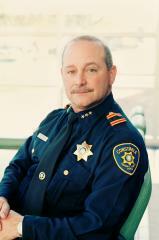 I was honored to serve 31 years as Chief of Public Safety, leading police, fire and EMS response. Today – more than ever – law enforcement must be boldly in the community creating relationships with the people we serve, so when crisis arises we are to head it off. I am Bill Waybourn, and I’m asking for your support. 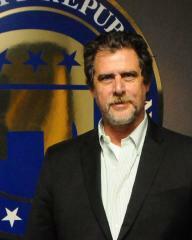 I have a bachelor’s degree, master’s degree, and am a graduate of the FBI National Academy. Numerous leaders & public servants have endorsed me – including Gov. Perry, Ron Wright, Andy Nguyen, and Tom Wilder; as well as every major law enforcement association in the area. 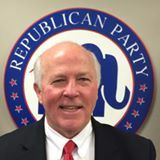 Please vote Bill Waybourn in the Republican primary on March 1st. 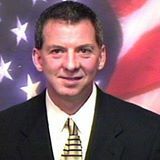 Visit www.billwaybourn.com for information. 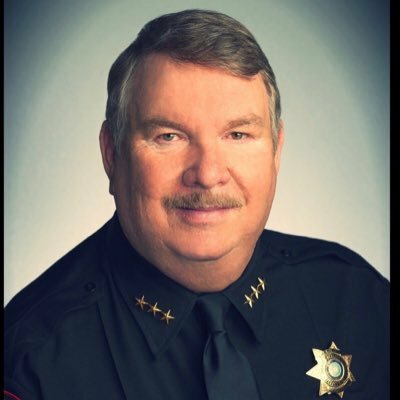 Candidate’s Statement: Joe D. “Jody” Johnson is a lifelong resident of Northwest Tarrant County and a retired Fort Worth Police Officer with 30 years of distinguished service. A Certified Master Peace Officer, Jody spent half of his career in the elite Fort Worth SWAT unit and served as a firearms instructor at the Fort Worth Police Academy. 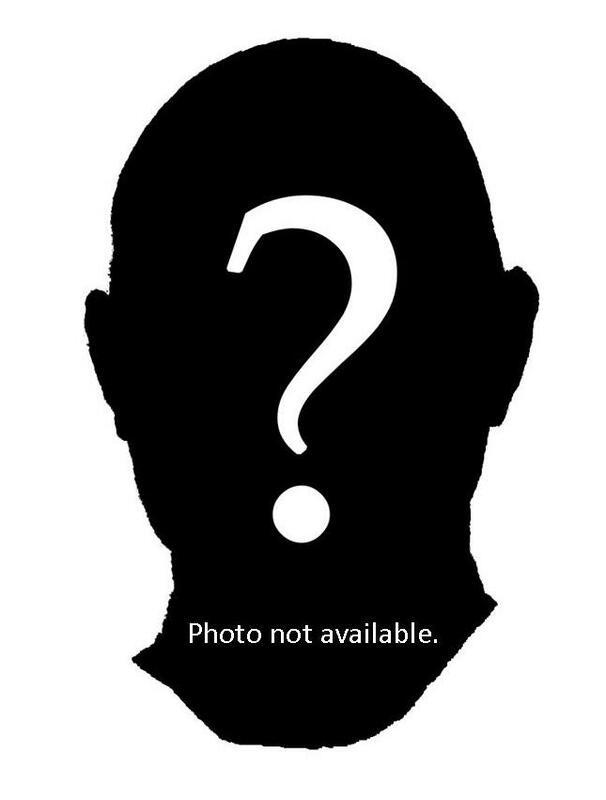 He is a certified instructor in the following; Handgun, Basic Police, Patrol Rifle, Advanced Sniper, and is a Certified FBI Physical Fitness Instructor. He has amassed an impressive 2370 Continuing Education and Training credits and is certified in Civil Process Service. A member of the Northwest Lion’s Club, Jody is a volunteer for White Cane Safety Day benefiting the blind. 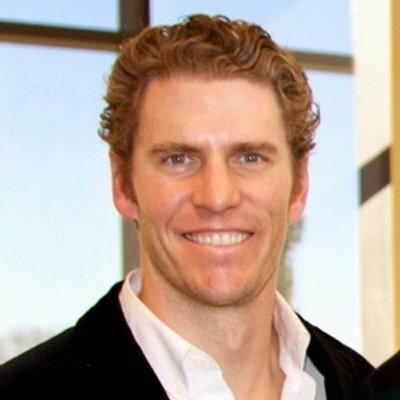 He is married to Jill for 25 years and they have two children; Dallan a graduate of Texas Tech and currently in his second year of Law School and Garrett a Junior at Texas Tech. 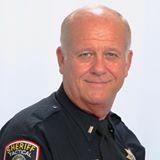 Candidate’s Statement: I began my Law Enforcement career in 1983. During my time as a Peace Officer, I have been given the opportunity to obtain several skills in all aspects of Law Enforcement and develop these skills through education and experience. I have extensive skills and experience in working with the community, and working with other entities. I have the experience and knowledge of supervision and administration, working with an allotted budget to reduce the financial strain on the taxpayers and identifying needs for an office to operate efficiently. As a Peace Officer I have the knowledge, skills and experience to tactfully deal with difficult situations when they arise. I am familiar with what is required by Texas Law concerning the Constable’s duties. I believe that individuals should be treated equally, with fairness and respect. I do not believe in being obligated to any one person or cause. Candidate’s Statement: During my first term in office I accomplished many of the goals I had promised: I implemented a reserve officer program to provide a higher level of law enforcement service saving tax dollars. I reformed the overtime pay system resulting in a nearly 65% reduction in taxpayer funded overtime pay. I instituted accountability reforms resulting in enhanced performance, as well as increased productivity and accountability to taxpayers. I increased and diversified annual training to be better prepared. This training allows officers to be familiar with responding to a variety of situations and results in safer neighborhoods for you and your family. One of the most critical issues facing law enforcement today is the negative atmosphere between the public and law enforcement. Having increased transparency and accountability helps establish better community relationships. 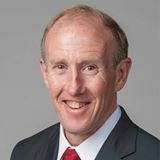 Candidate’s Statement: Tim O’Hare is a Constitutional Conservative who is Pro-Life, Pro-Faith, Pro-Family, Pro-Military, Pro-Business and Pro-2nd Amendment. 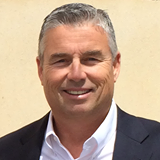 Tim has experience winning campaigns (both as a candidate and campaign manager), raising money, running a successful business, growing local non-profits, and dealing with the media – all essential traits for the next Republican Party Chair. He is a person of strong faith, a family man and the choice of conservatives throughout Tarrant County. Tim won the TCGOP Straw Poll with 68% of the vote and the Fort Worth 912 Project Straw Poll with 78% of the vote. As County Chair, Tim will work not just to keep Tarrant County Red, but to expand our lead, to bring people together, and to reach out to young people and other non-traditional Republican groups. Tim and his wife, Christen, have 3 little girls and love living in Tarrant County. Candidate’s Statement: Born and raised in Tarrant County, I served the Tarrant County Republican Party my entire adult life. Being educated in Arlington schools has prepared me for a life as a computer consultant. Having raised my family I am ready to commit myself full time to party activities. Having served as precinct chair, area leader and SD10 Convention chairman gives me an understanding of what works and does not work in Tarrant. I have recruited many precinct chairs over the years and will continue to grow the party going forward. 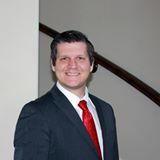 A delegate to many state conventions and serving on many committees including chairing registration at the two recent Fort Worth conventions. Working with the state party on the SREC Candidate Resource Committee that works to elect down ballot Republican across the state. Experience in Tarrant County is needed at this time to insure that we protect what we have built. We hope you have found our Voter’s Guide helpful! 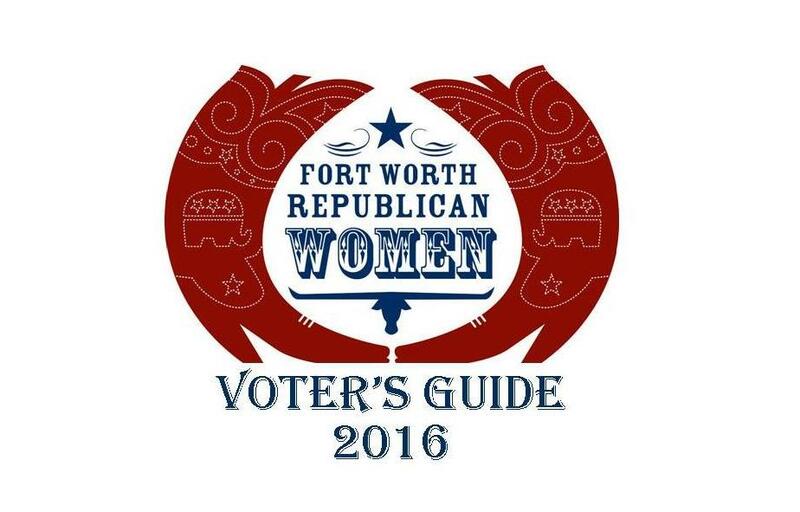 If you haven’t joined Fort Worth Republican Women – please join today at www.fwrw.org. Be a part of our dynamic group of women – dedicated to promoting women in politics, supporting Republican candidates and educating voters in our community. *Each Candidate was instructed not to exceed 150 words and were instructed that if a submitted statement exceeded 150 words, the first 150 words provided would appear and the remaining words would be omitted, even if it resulted in an unfinished sentence. If an asterisk * appears at the end of a Candidate’s Statement, his or her submission exceeded 150 words. Otherwise, the Candidates’ Statements were provided by the candidates themselves, appear exactly as they submitted them, and have not been edited in any manner. If no statement appears, no statement was submitted by the Candidate by the deadline provided for publication.